Nice quality item something different. 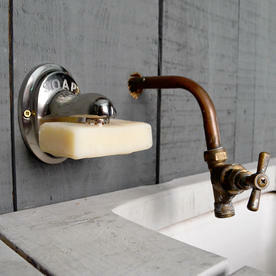 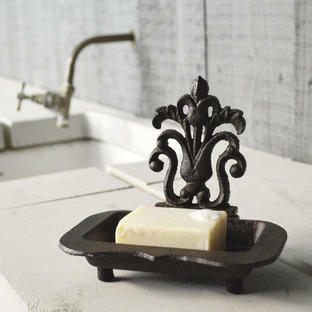 Classic, vintage styled soap holder. 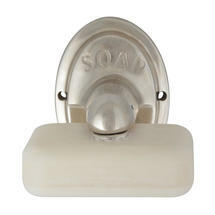 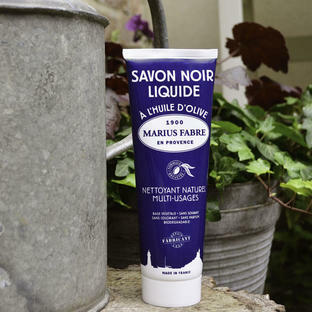 Keep the soap in your potting shed or boot room tidy and easy to hand. Attach the holder to the wall and simply press the chrome magnet into your bar of soap, the soap will suspend itself from under the holder. 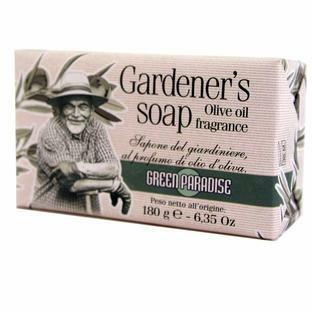 150gm bar of Jasmine Blossom Gardeners Soap included contains ground pumice to help clean soil engrained hands and natural vegetable oils which are kind to the skin and glycerol which will leave your hands feeling soft and smooth. 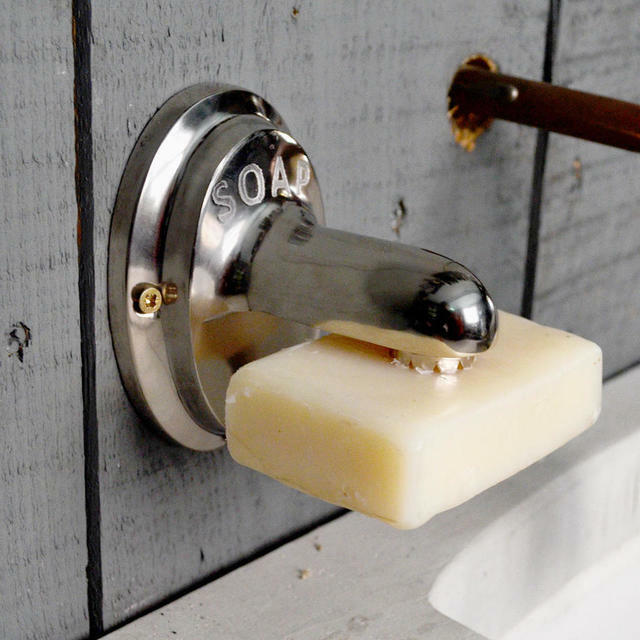 Chrome holder with magnet button. Needs 2 screws, not supplied.